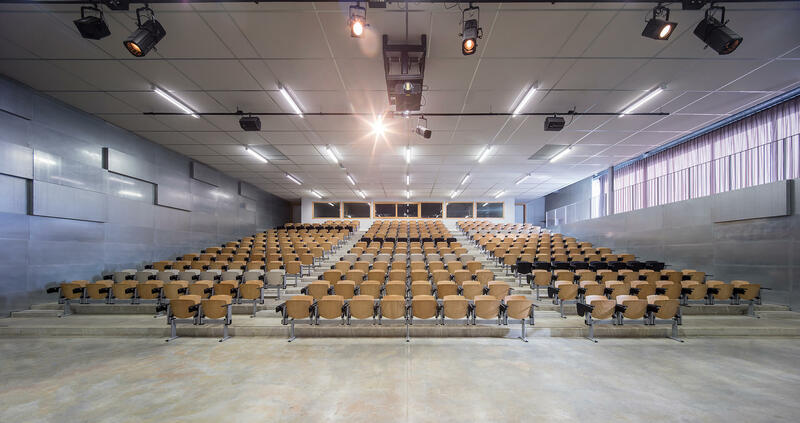 At the end of 2016 the Mines-Telecom Institute at Telecom SudParis campus in Évry-sur-Seine inaugurated the new building known as ETOILE (Espaces et Technologies Ouverts pour l’Innovation des Laboratoires et des Entreprises): a campus designed to respond to the growing number of students and digital business laboratories. The project by Block Architects in Nantes, combines two main buildings developed to meet specific functional, programmatic and environmental needs. 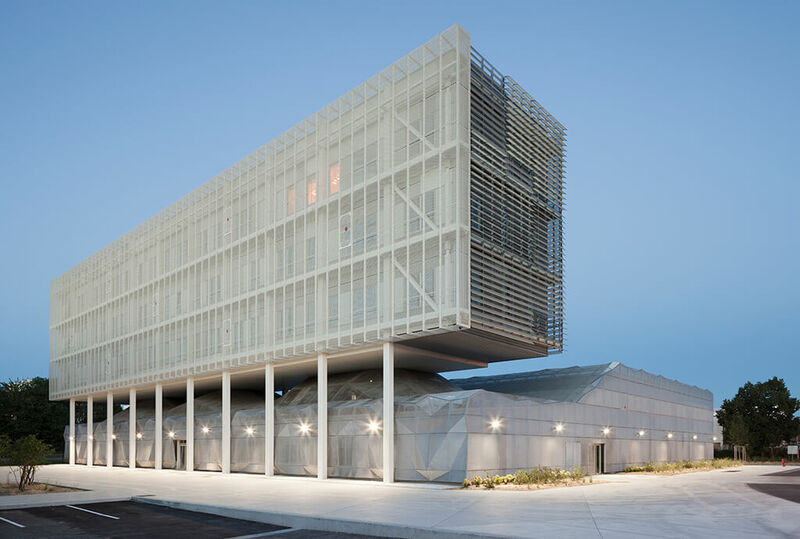 A basic structure with areas dedicated to research, whose volume contrasts with the front block and its vertical structure has been designed to fulfil requirements for eco-sustainability. 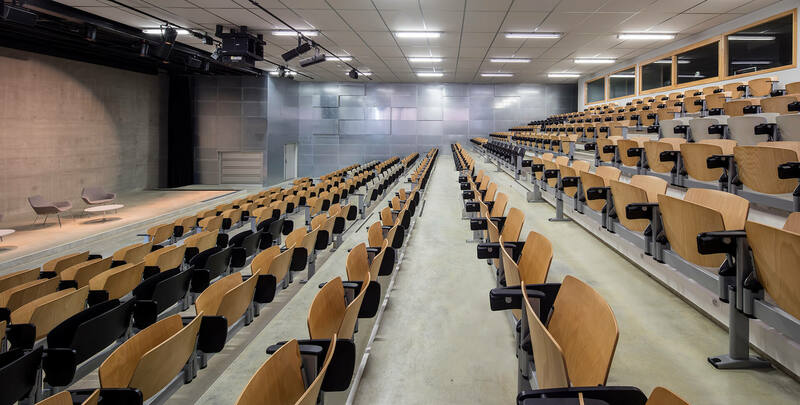 The campus, as a whole, can host up to 25 research projects, a FabLab, completely digitalized multipurpose rooms and the main auditorium. 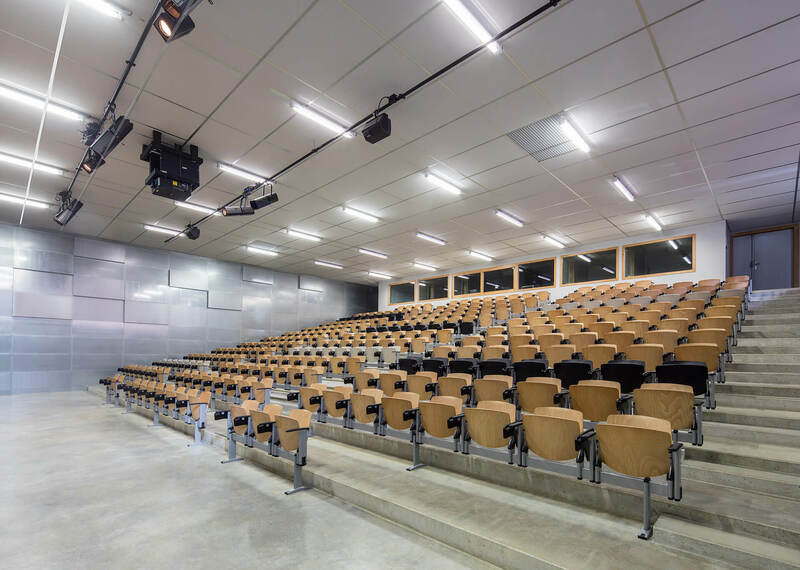 New Modulamm multipurpose seat, a restyling of a LAMM icon product, which has always been characterised by its timeless design, has been installed in the auditorium in the beam-mounted version with anti-panic tablet.